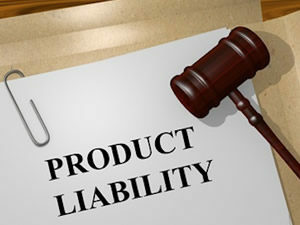 “Products liability” refers to the liability faced by manufacturers, distributors, suppliers, retailers and others whose products harm, or are claimed to have harmed, the consumer. Legal exposure for product liability claims extends to retail store owners, wholesalers, manufacturers and more. The filing or defense of a products liability claim often involves both complex procedures and complex law. In addition to understanding the intricacies of the applicable law, your lawyer will need to become well-versed in the chemical, mechanical, or other workings of the product itself in order to appropriately present your case. If you are facing an injury or lawsuit relating to the use of a particular product, our lawyers have the experience needed to protect your rights. Questions? Please contact us at (727) 821-2080.